This past Saturday, Matt + Hannah got married on this beautiful farm surrounded by apple orchards, mountains and their favorite people. It was such a perfect day and everyone agreed — it went by WAY too fast! Doe Creek Farm in southwest Virginia was the perfect setting for their fall Wedding!! Hannah and her bridesmaids spent the morning in Doe Creek’s historic farmhouse dating back to the 1800’s. The rooms were filled with gorgeous natural light and decorated with antiques. Before Hannah got in her dress, a gift was dropped off to her from Matt. Pickles and Sunflowers are the way to her heart!! She laughed and said that he knew her so well – these are two things that always cheer her up and make her happy! 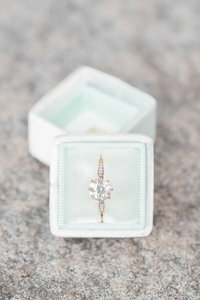 Hannah incorporated beautiful and special details such as her great-Grandmother’s engagement ring as well as her Grandmother’s bracelet, which has been worn by every bride on her Wedding Day in Hannah’s family. Hannah’s Wedding dress was absolutely stunning on her!! I loved the sleeves that had delicate lace detailing and buttons. If you follow along with us on Instagram, Sam and I were in a competition yesterday on who took the favorite portrait of Hannah. I mean this timeless beauty looked stunning from every angle and especially in this room she was just glowing!! Jaws on the floor, Hannah!! You are a knockout! They had a really sweet first look. Dad was all smiles and happy tears when he opened the door. He said how happy he was for her and that he knew how happy she was going to be being married to Matthew. Matt also had a really good, relaxing morning with his two best friends. One of whom was a 2016 groom of ours!! Matt has been best friends with these guys since they were really young and have stayed close after all these years. The guys wore these awesome tweed jackets and blue floral ties! As soon as Matt had his jacket on, a gift was presented to him from his Bride to be. Hannah wrote him a beautiful letter and gave him a nice bottle of Glenfiddich aged 18 years. For real, we love this sign!!! 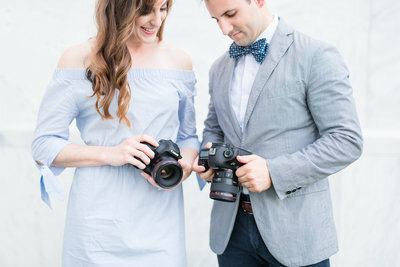 Hannah + Matt understand the meaning of truly being present and savoring the moment. Hannah walked out of the farmhouse arm in arm with her Dad. They didn’t rush this moment and even paused right before they started to walk down the aisle so that Hannah could take it all in. We loved photographing this group!! In between shots, the girls wrapped themselves in blankets to stay warm! 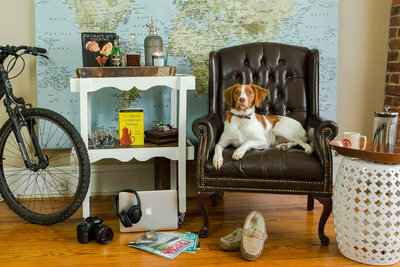 Olive + Ralphie are the light of their lives, so naturally they were guests of honor. 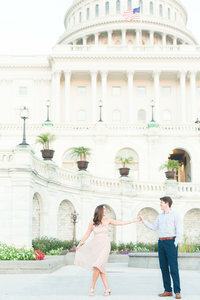 Although they went to different high schools, Hannah + Matt met their senior year. Hannah was running a youth mission trip for Hurricane Katrina relief and Matthew was going, so he attended the pre-trip informational meeting. She noticed him immediately in his black hoodie, but it wasn’t their time… until it was. They became friends. Their friendship deepened and they became best friends. So, in February, 2009, they began dating. Matt officially asked her out a week before Valentine’s Day, with a note inside her favorite Lindt chocolate. They both knew they were each other’s right person. They’ve been together ever since. 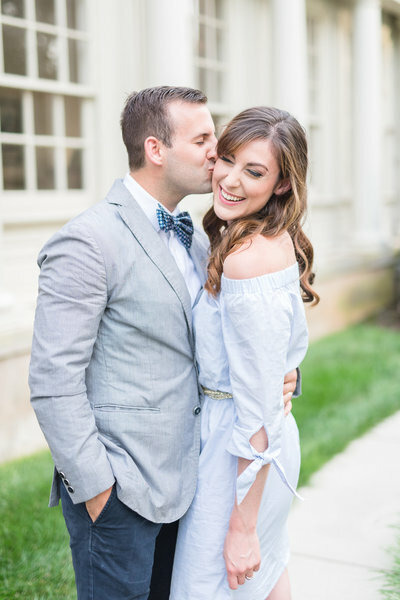 After 5 years of long distance at different colleges, Matt got a job in Blacksburg and Hannah moved down from Harrisonburg so they could be together, earning her Masters at Radford and getting a job in Christiansburg. On their 8 year anniversary last year, Matt planned for them to visit Chateau Morrisette for a wine tour, tasting, and dinner. Hannah suggested the Blue Ridge Parkway and this fit perfectly with Matthews’s plans. He pulled over on the way, so they could go down a little trail for a private moment. Hannah had just taken off her super high heels. She spontaneously threw them in the air, up on the side of the mountain… and they made each other a promise that was fulfilled on their Wedding Day. We adore the way they are together!! These newlyweds couldn’t stop giggling and kissing!! They naturally transitioned from making each other crack up laughing to super romantic moments. As we made our way back to the Reception, guests saw us in this field and started cheering and whistling. Even louder cheers echoed through the valley once Hannah planted this rockstar kiss on her new husband!!! The crowd really got into Sweet Caroline!! Hannah’s holding on for dear life!! The rest of the evening was amazing. Guests packed the dance floor and everyone was having so much fun! Hannah + Matt shoved some cake in each other’s faces! Two generations of The Tuckers Photography couples!! You may remember Mollie + Kevin’s Wedding from last year. Kevin was Matt’s best man and now he and Mollie have this beautiful baby boy!! This day was absolutely incredible!! It flew by way too fast! What we love most about the two of you is the fact that you two met because you both had a genuine desire to help others in need. Your selflessness lead you to your soulmate. We want to encourage you guys to keep following those big hearts of yours and you’ll continue to have the greatest adventure together. Thank you so much for letting us share this incredible time with you and your families! 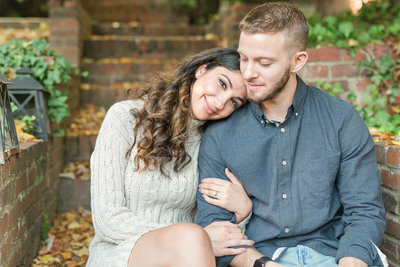 We can’t wait to see your marriage pull you two even closer together in Christ. We love and adore you both! Have the BEST HONEYMOON in PARIS!!!!!! **Credits: story of how they met and got engaged credited to the couple’s wedding website and their Officiant, Kanta.